What can your DNA tell you about cannabis? Our proprietary algorithm looks at over 150 DNA biomarkers in your DNA that affect your cannabis use and health. Get personalized insights and important warnings about how your body may or may not respond to specific products. Know which dosages of cannabinoids and terpenes you should prioritize on your informed cannabis journey. Thousands of personalized cannabis reports generated. We have helped thousands of people around the world optimize the impact cannabis has on their life. Upgrade your cannabis experience with our personalized reports. Everyone’s report looks different and is filled with warnings, cannabinoid and terpene ratios to look for, products that match your needs, and tons of additional information about your cannabis related health. My report revealed that I couldn’t break down THC well in my liver. Now I know that I should stay away from edibles and even found products to help with my energy levels. I haven’t had a bad time since then, so…thanks! Wow. I had no idea cannabis was so complex and can be used for so many different things. I found out I might develop arthritis later in life, so Strain Genie recommended some amazing lotions, bath bombs, and vapes I can use. I’ve always loved working out, but I can only do it every so often. My muscles just get incredibly sore. 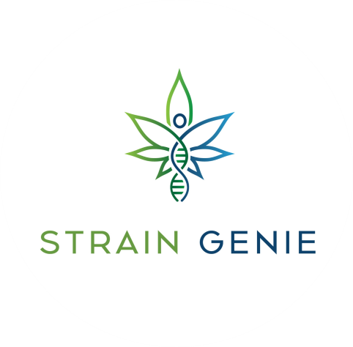 Turns out, I have a genetic predisposition for muscle soreness that was completely relieved by the products suggested by Strain Genie. Thank you!!!! If you’ve had your DNA sequenced by another company, you can upload your raw data and receive your personalized cannabis report within 24 hours. If you’ve never had your DNA tested, you can order your cannabis DNA test online. It only takes one swab of the cheek for you to unlock the most comprehensive DNA test in the cannabis industry. You’ll receive a test kit with instructions and a pre-paid mailer to return to our CLIA certified lab. Most customers receive their results within 2 weeks of placing an order. Start your personalized cannabis journey today.